The CAWS animal shelter is in the city of Delta. "CAWS is getting $2,250 and that is an annual donation for low-income people to get their animals spayed and neutered," she says. "It’s a subsidy program. 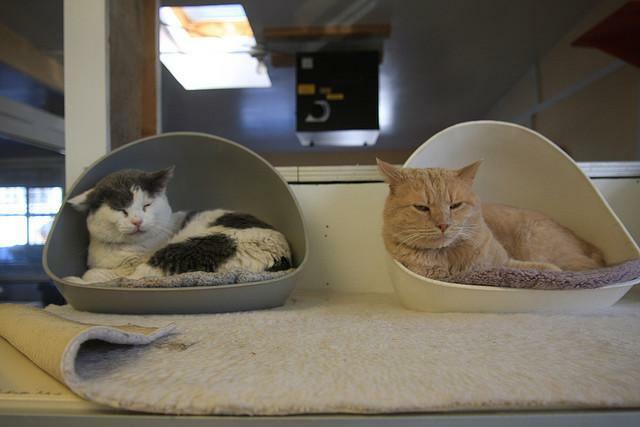 So it does nothing to help the animals that are actually animals in the shelter." The county doesn’t operate its own shelter. Kalenak says it relies on outside organizations like CAWS for animal control. "In 2008 then county administrator Susan Hansen brought everyone together, all of the animal welfare people in the county and the cities, and said ‘basically we due to the economic downturn cannot afford to fund animal control any longer and we need these groups to set up to the plate’, she says. "And, we have." About 60 percent of the animals CAWS gets come from the county. And, the organization is struggling to care for all of these furry creatures. Kalenak says CAWS faced a $28,000 budget deficit this year. "And 2015 is reflecting a smaller budget by $25,000," she says. Kalenak met with county officials last Friday to talk about funding issues. "We had a very long discussion," she says. "It was about two and half hours. And it was quite heated at times, but I was very pleased with the outcome." Kalenak says at the meeting she learned other shelters also requested additional funding. She says Delta County plans on conducting a survey among area shelters to find out the number of animals they accepted in 2014 and where those animals came from. "It’s my hope that these numbers will be used to determine the extent of the homeless pet problem in our county and how future county support, if any, might be distributed," Kalenak says. She says a meeting has been scheduled for next month to bring together the four animal shelters in the area to provide data to the county and discuss issues they face. About 1500 unwanted dogs and cats are rescued every year in Delta County. But many more are turned away. One local rescue organization wants to change that by building a bigger shelter. But to do that, they need more money. So the group Citizens Animal Welfare and Shelter, or CAWS, is launching a capital campaign. For this episode of Local Motion, we spoke with two members of the Delta County CAWS organization.